Just got your first bike and you need some training? Been riding for years but never got your license? Let RideApart guide you through the process. I have a healthy amount of respect for those who are what they call “self-taught"—from playing the guitar to surfing, carpentry, and even motorcycle riding. When my own brother was 24, he decided he wanted a motorcycle. Nothing powerful, just a vintage tank known as the Suzuki GS550E. He bought it off a friend, never took a riding lesson, and surely didn’t get his license. That being said, he almost killed himself on several occasions and intentionally hid the motorcycle from my mother. Once he got married and had kids, I never saw him ride again. When I got married, my wife said, “We should take lessons and get licensed. I know you are going to ride.” What a woman. We put a plan in the works, went through all the necessary steps to learn and get properly licensed. So far, it’s paid off since I’ve been able to parlay those skills as both an automotive and motorcycle editor. But even if it never would’ve turned into something more than just recreation, I would’ve done it exactly the same way. I’ve seen more experienced riders do incredibly stupid things on the road, and those are the guys who give motorcycling a bad name. Sure, if you have the skills, you can do way more than I ever could—but I’ll always be safe and will stop riding as soon as I can no longer enjoy myself. If you’re passionate about learning how to ride, there’s really only one way to do it: get licensed. Here’s how to get it, and it’s less intimidating than you think. 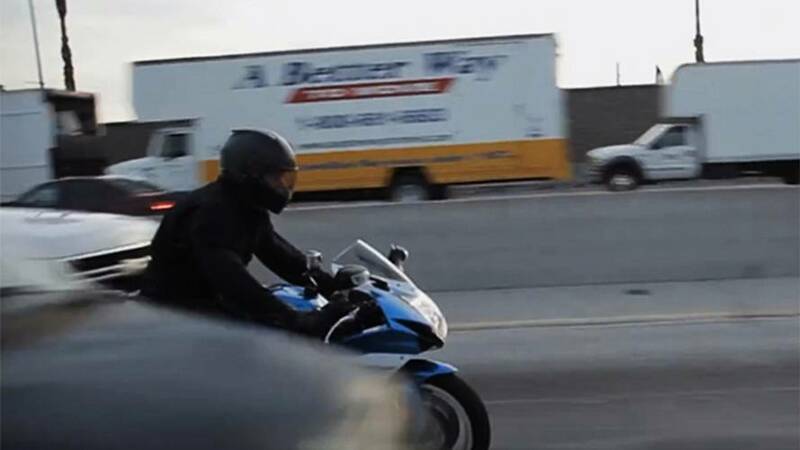 Rather than asking a buddy who knows how to ride to give you some pointers on his Hayabusa, allocate time with a professional on a beginner’s motorcycle that won’t scare the living daylights out of you. Plan on spending a weekend to take the Basic Rider Course from the MSF (Motorcycle Safety Foundation), or Total Control Training, if you're in California. Visit their website to find a course in your area and register. Understand that it’s a two-day course, and you won’t get away with just a couple of hours of lessons. Try not to go to the course with some preconceived notions about riding. That will be hard if you’ve dabbled in it or even have ridden for many years already. Going in with an air of condescension, saying that you’ve ridden for years on bikes way more powerful than the diminutive ones they provide and have more experience than the instructor is a terrible way to start. I guarantee you will learn something new, even if you’re a self-taught rider who’s logged many miles. Patience, good listening skills, and the ability to follow directions without some badass attitude will go miles in making you a good new rider, and a better and safer one than you already are. It doesn’t matter how good you think you are until you actually pass the course. No, the instructor will not give you your certificate if you don’t pass both the written and skills exam. Take the time to heed the instructor’s direction at every moment during both the classroom and riding portion of the course. If you’re reckless and endanger yourself or other students, you will be asked to leave. Pay attention and stay focused. At the end of the weekend, you will walk away not just with a certificate, but also with a better understanding of riding, improved skills, and situational awareness. If you ignore the written and education portions, chomping at the bit to ride, you’re not gaining a comprehensive understanding of what it means to ride smart and safe. 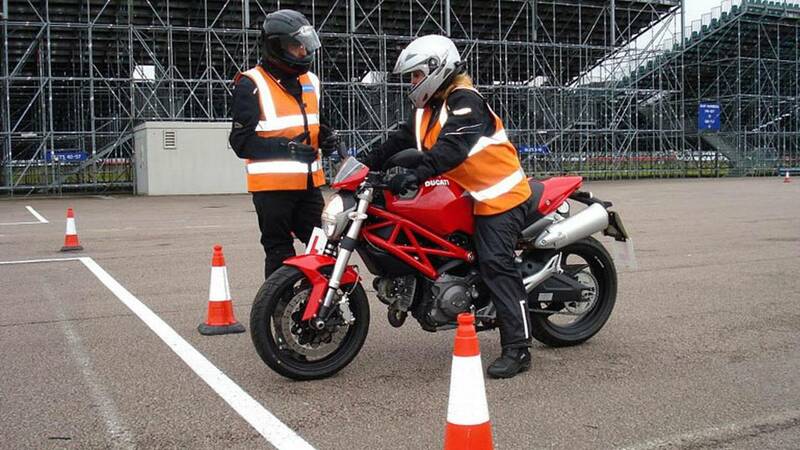 Even before you begin the course, you can refer to an abundance of educational materials on the MSF website including Rider Training Curriculum as well as numerous motorcycling documents that will show what the MSF does and what safe motorcycling is all about. Reading these beforehand will help you gain a more cohesive view of basic motorcycling and will help you see that your best riding tool truly is what’s between your two ears. Before you can celebrate, you do have to bring your certificate to the DMV and pass your state’s exam. Re-familiarize yourself with MSF or TCTI training and documents. It also helps to read books like "Proficient Motorcycling: The Ultimate Guide to Riding Well"
Once you’re officially licensed, however, that’s not the end of it. Time on the bike is important, but so is additional education. The MSF offers numerous courses for intermediate and advanced riders, as do most manufacturers like BMW, Yamaha, Ducati and Triumph. Don’t assume that since you’re now legal that you don’t need continual skills development. Be smart and make motorcycling both an experience and a lifelong education. This article was originally published on June 23, 2015.